AI may be able to predict when patients battling chronic diseases will die, research suggests. Scientists and doctors used data from half a million people to develop the tool that foresees who is at risk of an early death. It takes into account everything from a patient’s family history of disease and how much salt they eat, to medication use and whether they wear sunscreen. 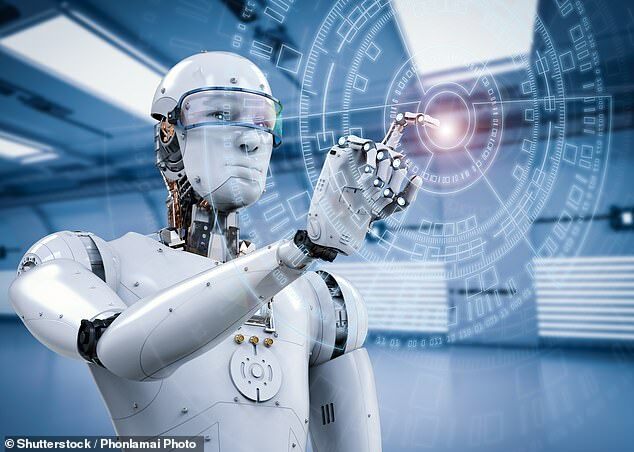 Researchers said the AI system was ‘very accurate’ in tests and around 10 per cent more reliable than estimations by existing machine-learning systems. The research was carried out by the University of Nottingham and led by Dr Stephen Weng, an assistant professor of epidemiology and data science. ‘Preventative healthcare is a growing priority in the fight against serious diseases,’ Dr Weng said. ‘So we have been working for a number of years to improve the accuracy of computerised health risk assessment in the general population. ‘Most applications focus on a single disease area but predicting death due to several different disease outcomes is highly complex, especially given environmental and individual factors that may affect them. The AI algorithm was created from data of 502,628 people aged 40-to-69 who took part in the UK Biobank study between 2006 and 2010, and were followed until 2016. It took into account 60 health predictors, including the participants’ BMI, blood pressure and vitamin or supplement use. The AI model also included information on the participants’ fruit, vegetable, meat, cheese, cereal, fish and alcohol consumption. AI may help doctors spot a patient’s faulty pacemaker during emergencies, research suggests. A study found the new ‘machine-learning software’ identifies ‘cardiac rhythm devices’ in X-rays scans more accurately and quickly than existing methods. If pacemakers fail, patients can become severely ill.
Doctors then need to quickly identify the device the patient is fitted with before starting treatment, which may involve changing its settings or replacing leads. In the study, researchers – from Imperial College London – ‘trained’ an AI model to identify more than 1,600 different pacemakers. When an X-ray image was uploaded, the model could decipher its make and model within seconds. Results revealed the AI model was 99 per cent accurate, compared to 72 per cent for existing methods, which involves deciphering a pacemaker’s make via a flow chart. ‘We mapped the resulting predictions to mortality data from the cohort using Office of National Statistics death records, the UK cancer registry and “hospital episodes” statistics,’ Dr Weng said. The model was then compared against two standard machine-learning techniques. Results – published in the journal PLOS ONE – suggest the new AI model was up to 10.1 per cent more accurate than existing networks. 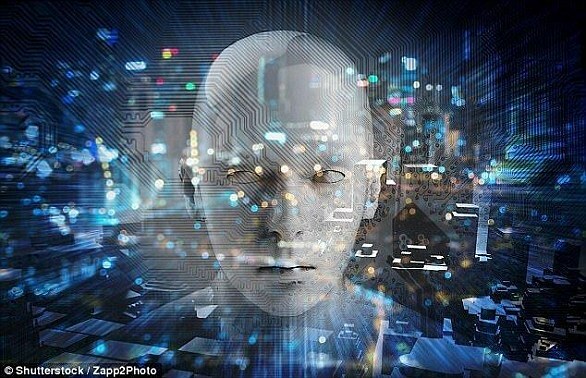 ‘We found machine learned algorithms were significantly more accurate in predicting death than the standard prediction models developed by a human expert,’ Dr Weng said. Study author Professor Joe Kai, head of primary care at the faculty of medicine & health sciences, added: ‘There is intense interest in the potential to use “AI” or “machine learning” to better predict health outcomes. ‘In some situations we may find it helps, in others it may not. ‘In this particular case, we have shown that with careful tuning, these algorithms can usefully improve prediction. ‘These techniques can be new to many in health research and difficult to follow. The latest study builds on past research by the University of Nottingham that suggested four different AI algorithms were significantly better at predicting heart disease than an established one used in cardiology guidelines. The scientists predict AI will play a vital role in the development of personalised medicine. But, they add, further research is required into machine learning’s effectiveness in other population groups, as well as how to incorporate AI into everyday healthcare.